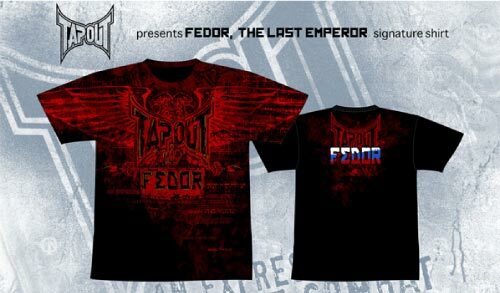 This Fedor shirt features the Tapout logo and a Russian Red color scheme. There is also Fedor’s name on the back that has the Russian flag colors. The front is where most of the action is at. Theres a double headed war eagle that forms a symmetrical image with its outstretched wings. Also present is the Royal Crown on top of Fedor’s name to make it more authentic. This shirt is dubbed “The Last Emperor” after Fedor’s nickname. Fedor Emelianenko is arguably the best MMA Fighter in the world. The Fedor RVCA T shirts – The shirt Fedor wore against his fight against Strikeforce heavyweight Brett Rogers. 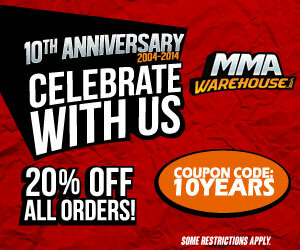 Fedor hoodies have the designs as the RVCA shirts.